I woke up thinking about celebrations today. I guess it was a result of this past weekend being Mother’s Day. My mother used to frequently say, “Mother’s Day is not just one day, but every day”. True. This is a thought we could actually utilize in so many aspects of our lives. How many of us celebrate each day? Let’s break that down a little, as I know that’s a bit vague. I started www.TimetoPlay.com to relearn how to live and enjoy life. I have worked in healthcare for 27 years and have seen what I term the “sick and sad”. I have learned after these past years of this endeavor that life is short and meant to be savored. That’s a hard and vague concept for us, too. It’s hard to grasp a concept of acknowledging each second of our day is precious when so much is thrown at us every day. Job issues, family issues, health issues. It gets truly overwhelming sometimes. We are all human and may get caught up in the emotions and frustrations of our day. My gift from working on www.TimetoPlay.com, becoming a life coach, and meeting people from whom I have learned amazing things has been my ability to recognize when I need to STOP, reevaluate and make a choice on how I react and to move on. It is important to recognize when we are in a situation that is undesirable. I recognize that some things we can do something about, and some things we can’t. BUT, it’s ALWAYS in our power to change our reactions to a situation, to reevaluate, and to make the best choices to move forward. We are NEVER without power. Remember that. Don’t let anyone, especially not your thoughts, steal your power. Through www.TimetoPlay.com I have realized the importance of stopping what we’re doing or thinking, to be unplugged, to listen to a bird chirping, to talk to our friends and our children. I have recognized the importance of celebrating each day, to see the beauty that we miss when we are part of the hustle and bustle to get things done. Even as I sit here writing this, I have become more aware of my surroundings, listening to the sound of the fish tank and enjoy the shadows the sun is making in my home that I would have missed in months and years past. Start to celebrate the little things. It will make your heart happy. Try it. Celebrate yourself… your beauty, your smile, your achievements, your surroundings. Things may not be easy, or things may not be exactly as you want or had envisioned, but celebrate what you are and what you have at this exact moment in your life. You are special the way you are. You are the only one of you. 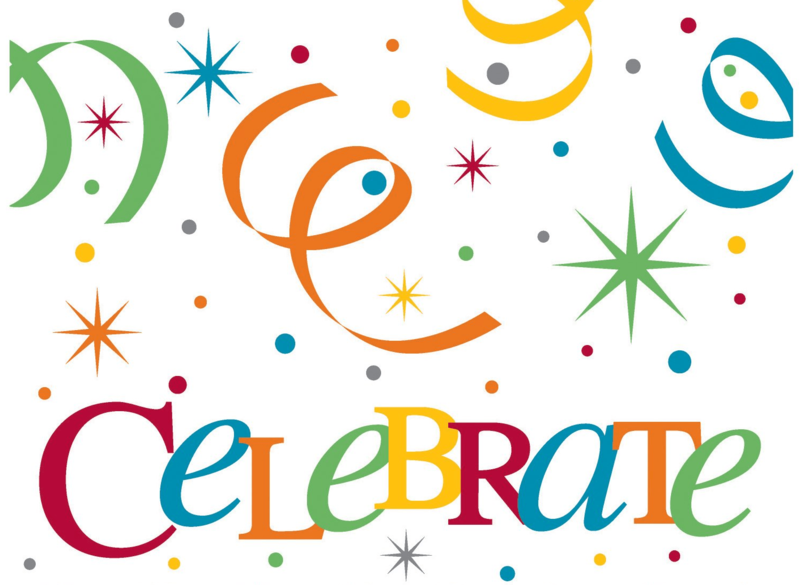 Celebrate others… I know from experience that we usually wait for milestones to make people feel special for their “special days” during birthdays, on holidays, or during special events. I do my best to compliment people any time I can. Do it and watch people’s reactions. We all work so hard. It’s nice for the sales person to get a, “Wow, you did that checkout so fast, I’m so impressed”, or “What a nice smile”, or “You are so pleasant, I enjoyed shopping here today”. Try it. It not only brings an amazing smile to their face (and a look of shock and awe), but I promise it will bring a smile to your face, too. Celebrate family… How many times do you say, “I love you” but mean it? How many hugs or kisses do you bestow? How many times do you sit down for a special dinner or a celebration or do something that’s not “required” due to a holiday, birthday or a day like Mother’s Day? How many times do things feel more like work and not something you are doing from your heart? My babies are 22, 20 and 19 years old. They are not at home very often anymore, and it seems to get harder and harder to even talk to them on a daily basis. I know that I always had made efforts to create special days, projects, “field trips” and events when they were small, but savoring memories is not living. Doing is living, and I strive to make what I can fit into my day as special as possible. Let them know they’re special, not just a “job” or an obligation. See and feel the difference it makes in your heart and in your relationship. Last but not least, how about our spouses. Appreciation is everything, and, in our day to day, we may take them for granted. It’s so important to acknowledge each other. We are all so busy, but I’m throwing it out there to not just wait for an obligatory reason like a birthday or holiday to celebrate them. Things are different and much faster today than when I was younger, and I know, personally, how we can get so caught up in things that are not important. I’m asking that you take a moment to thank them for just being them, for doing the things that they do, and for being who they are. That’s why we loved them, in the first place, isn’t it? Love – the word of today. Love life, love each other, love yourself. Every day is a reason for celebration. Celebrate yourself and everyone around you. Feel the feelings you get. Try it. You, and those around you (after they make you go to the doctor to make sure you are ok) might even smile. Time to Enjoy Life -- 7 Years and Counting! What's Wrong with the Campaign to Ban the Word "Bossy"? The Great Love Debate Finding a Purposeful Midlife: Volunteer Vacations!